ST. GEORGE – Whether you are a physician addressing a patient’s needs or a patient staring down a cancer diagnosis there are three key questions likely to determine your choice of treatment providers: Who has proven experience? Who is current in knowledge and skill? And who has the right equipment? Gamma West Cancer Services is one place that affirmatively provides all three for radiation cancer treatment, a stand-out clinic with two board certified physicians offering the advanced radiation therapy technology called TomoTherapy. Anyone acquainted with the radiation oncology profession in Southern Utah over the past two decades, whether personally or professionally, knows Dr. Ray Richards. Until a few years ago, he was the only radiation oncologist in the area. 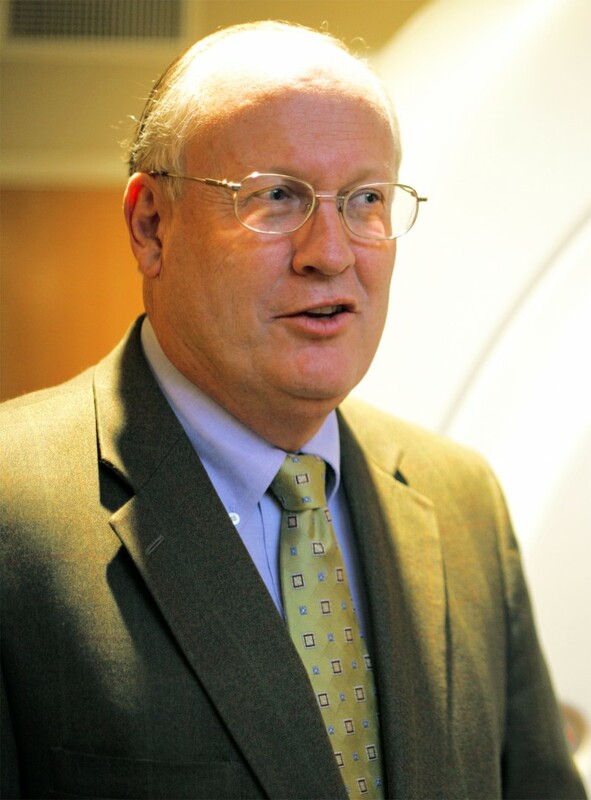 Dr. Richards served as medical director at Dixie Regional Medical Center for over 15 years. Many “firsts” in radiation procedures were performed by Dr. Richards over that time, including the first radiation implant procedures (1990), first radioactive iodine treatments, and implementation of Southern Utah’s first dose shaping IMRT (Intensity Modulated Radiation Therapy) treatments. Working with Dr. Phil McMahill, they established the community’s first tumor board meetings, first tumor registry, and first clinical trials. Their efforts resulted in designation as an accredited community cancer program by the American College of Surgeons. Dr. Richards recalls this as one of their singular achievements in an otherwise small medical community. In 2007, Dr. Richards accepted an invitation to join Gamma West Cancer Services opening it’s first Southern Utah clinic, initially specializing in brachytherapy (implants procedures where radiation sources are surgically placed directly into cancer tissue). He was personally trained by Dr. John Hayes, founder of Gamma West, and recipient of the American Cancer Society’s highest award, the Gold Star. 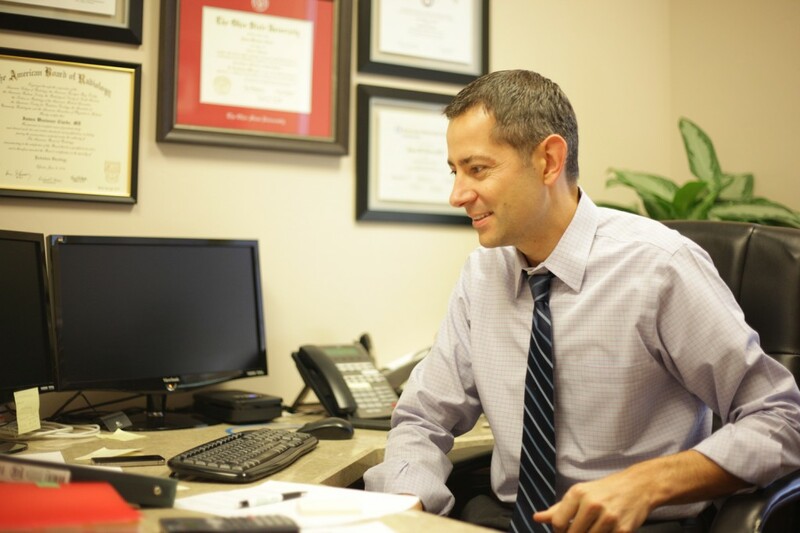 What Dr. Richards brings in years of experience and familiarity with the Dixie community, Dr. James Clarke brings as a specialist conversant in the most cutting-edge research, training and technology. Dr. Clarke’s is an elite class, there is a small niche of specialists in radiation oncology, fewer than 5,000 in the United States. Dr. Clarke grew up in American Fork, attended BYU, married his wife, Natalie – with whom he now has six children – and went on to earn his M.D. from The Ohio State University College of Medicine. He then completed a 5-year residency in the highly competitive specialty of radiation oncology, training at a massive Ohio cancer hospital regarded as one of the best in the world. Dr. Clarke and his family moved to Southern Utah in 2009, putting down roots with both family and career in Dixie as he joined Dr. Richards at Gamma West Cancer Services in St. George. When it comes to radiation therapy, the equipment and its capabilities are as vital as the physician. Gamma West’s weapon against cancer is a TomoTherapy machine. 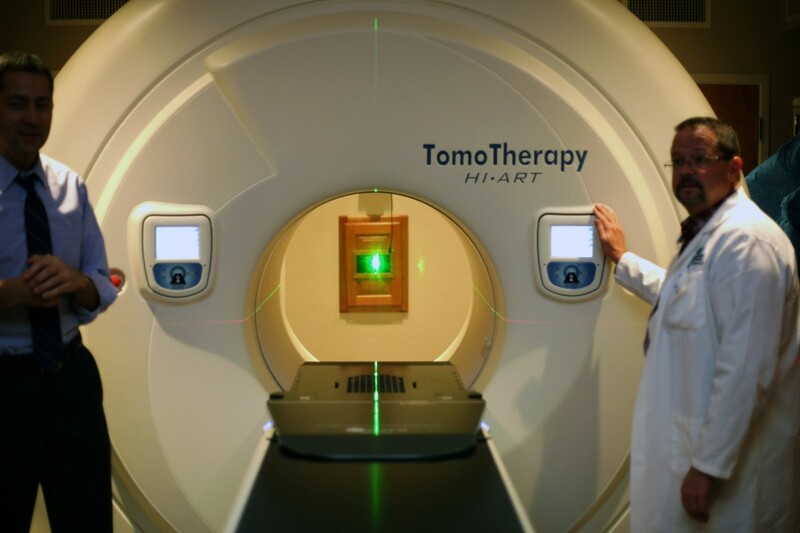 The TomoTherapy machine is a $4 million masterpiece that uses computerized planning and a complex beam delivery system designed to focus high energy X-rays on the cancer while sparing the normal tissue surrounding it. Because of its ability to spare normal tissue, TomoTherapy can be easier for patients to tolerate than conventional radiation treatments. When possible, TomoTherapy is also capable of delivering simpler, lower-cost treatments as well as more complex ones. According to its manufacturer, TomoTherapy is the most advanced technology of its kind fusing image-guided radiation therapy with intensity-modulated radiation therapy. Radiation oncologists contribute to a multidisciplinary team approach for patients presenting with cancer. Typically there are three modalities to treatment: radiation, chemotherapy and surgery, although there are sometimes other therapies applied. Thus, the doctors at Gamma West usually are working in harmony with other physicians in the patient’s treatment program, surgeons, medical oncologists, and the patient’s family practice physician among them. Gamma West Cancer Services, has been a standout company in the Intermountain West in Northern Utah since 1998. The group is led by a team of nine board-certified radiation oncologists who work in clinics and hospitals throughout the state of Utah. They established a brachytherapy clinic in St. George in 2007 at the Coral Desert Surgery Center complex on Foremaster Drive, and brought TomoTherapy treatments to St. George in 2010 at the 15,000-square-foot clinic at 900 South near River Road. In addition to Dr. Richards and Dr. Clarke, the Gamma West care team includes a board certified medical physicist, a medical dosimetrist with years of experience at the busy Huntsman Cancer Institute in Salt Lake City, several radiation therapists, registered nurses, and an outstanding administrative staff. 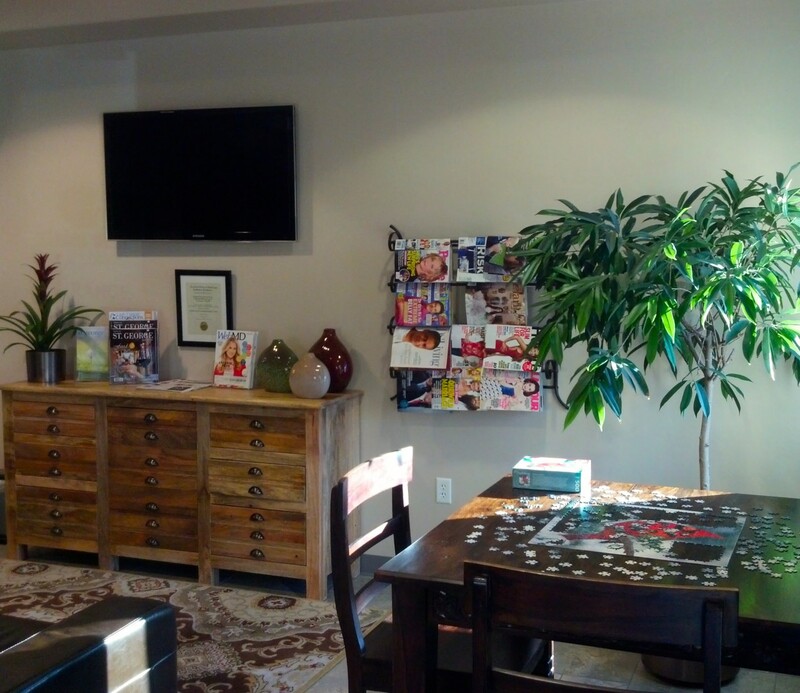 Dr. Clarke also maintains an independent clinic in Mesquite, Nev., where he and a nurse go regularly to see new patients and to conduct follow-up visits for Gamma West patients. He also serves on the medical staff of Mesa View Regional Hospital.